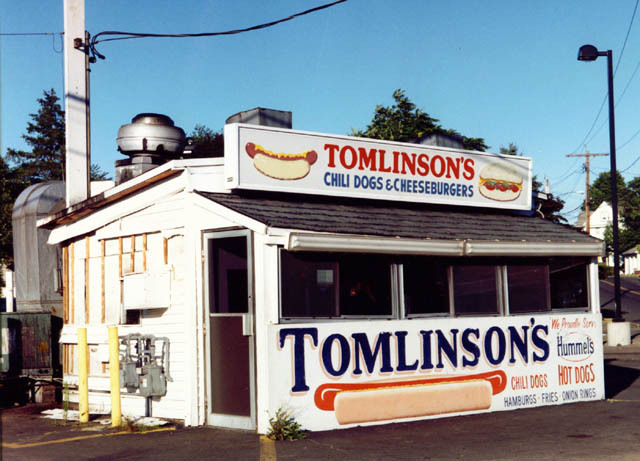 Tomlinson's Restaurant started out as a small Hot dog stand at Seaside Park in Bridgeport CT in the 1930's, begun by Harry Tomlinson. Harry had was doing great with his business, and in the early 1940's he decided to move it to the corner of Noble Ave. and Concord St. at its present location. The decision was likely based on proximity to the GE factory which was working 3 shifts during WW2.